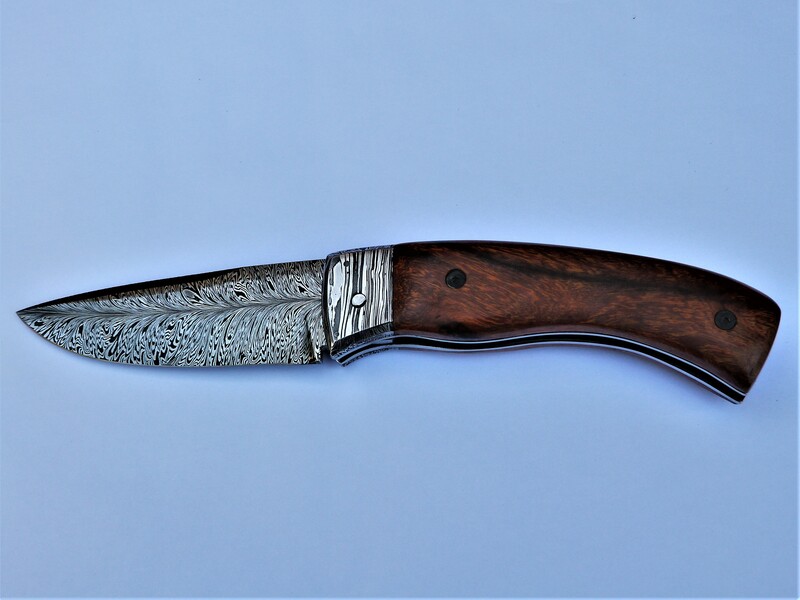 Friction folder knife of damascus steel. 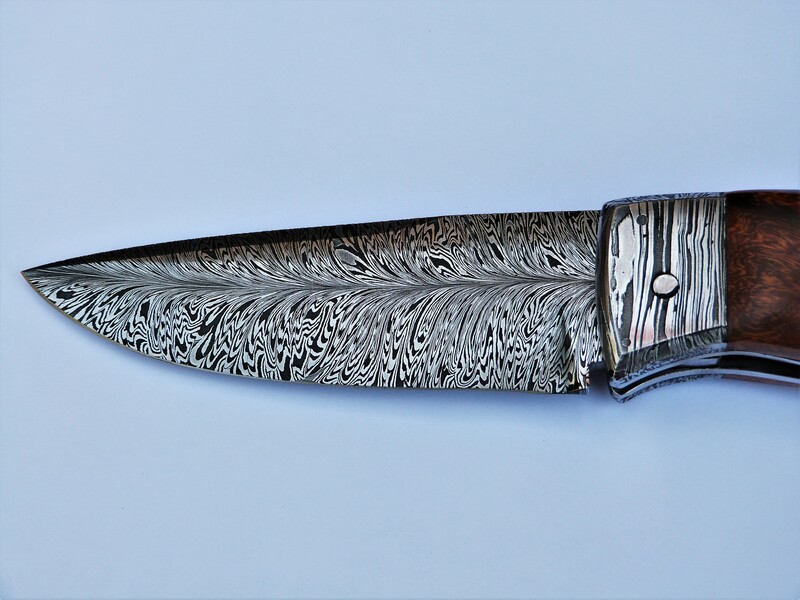 The pattern is feather made of 3 different steel and more than 300 layers. 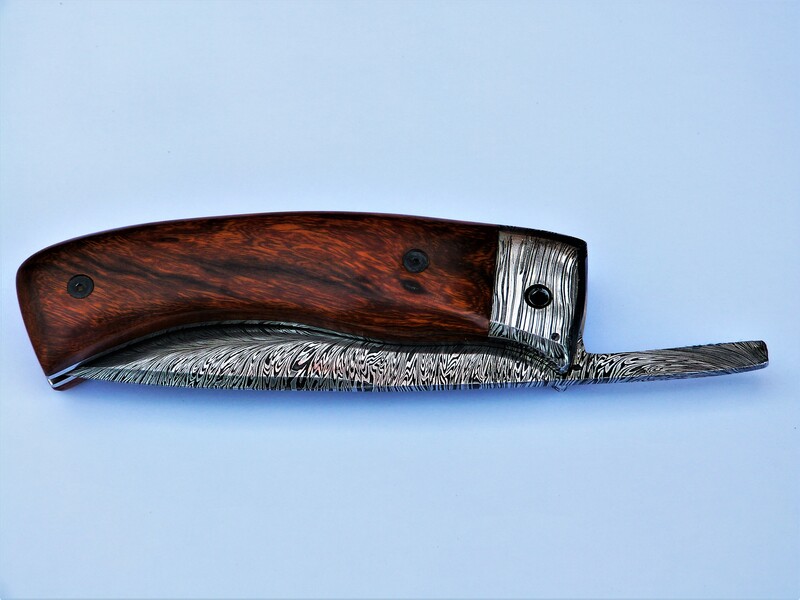 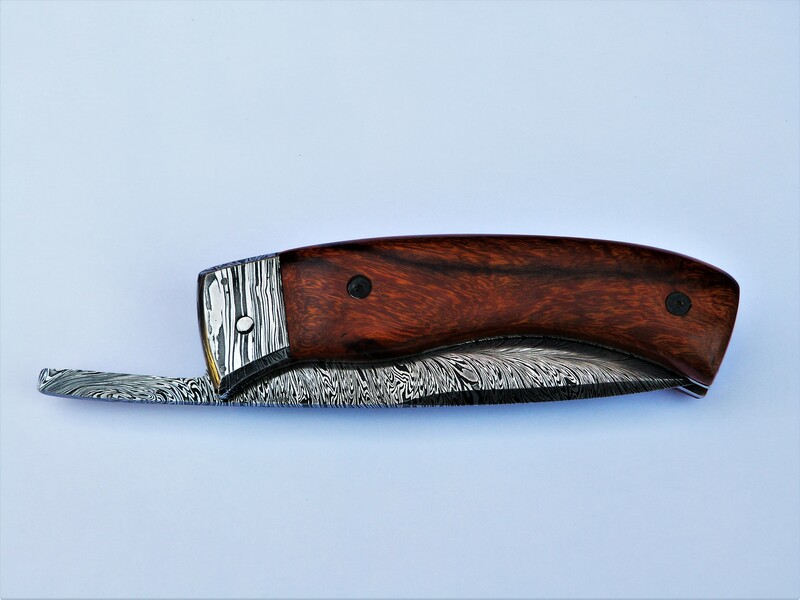 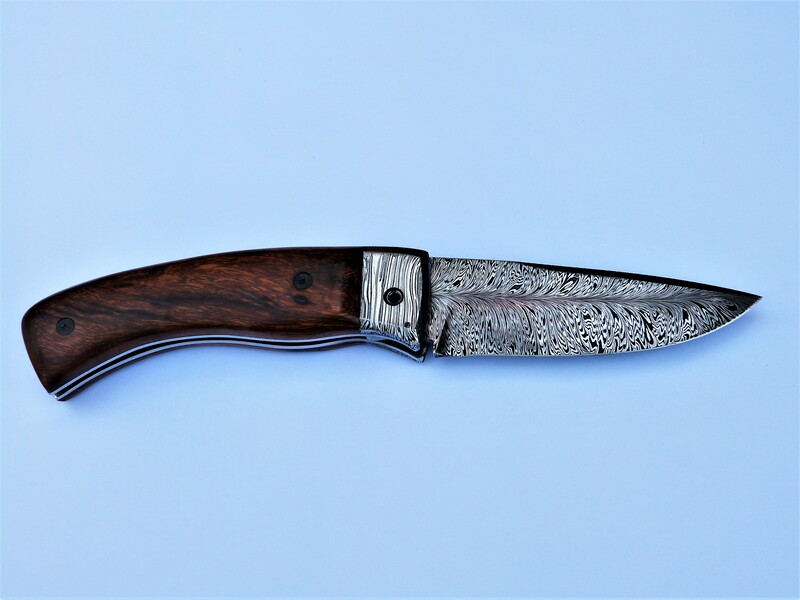 Handle of desert Ironwood from United States with details in damascus steel. 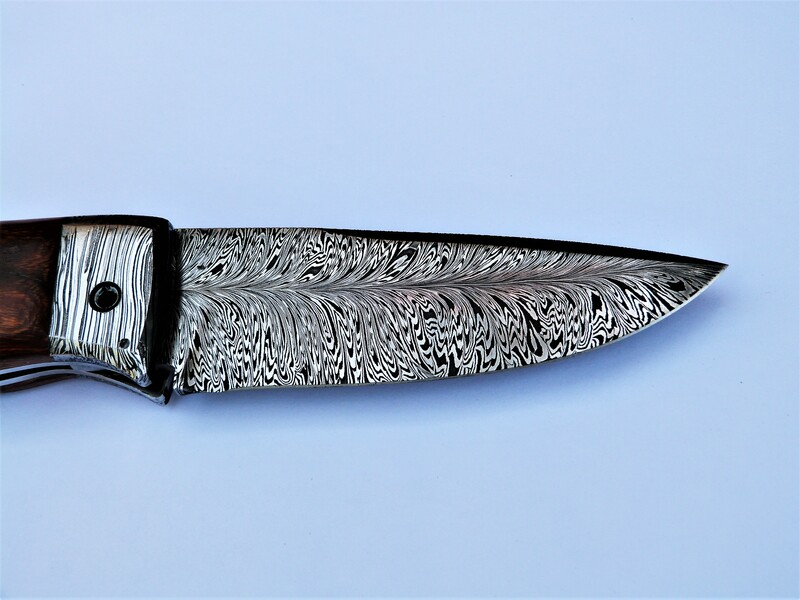 Would like to purchase the Plegable Piamontes Pluma 106 mm.